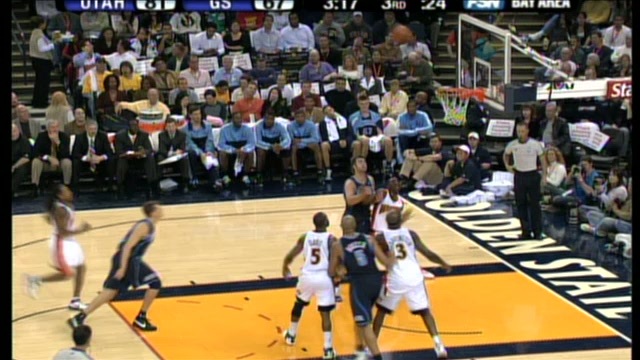 This is an example of a Free Throw Violation committed by the free throw shooter. The shooter on a free throw attempt cannot step over the plane of the Free Throw line until the ball hits the rim or the backboard or the free throw ends. On this play, the shooter does step over the line, breaking the plane before the ball hits the rim. This is a violation.